This topic contains 1 reply, has 2 voices, and was last updated by william.hepler 1 month, 1 week ago. I am using ForgeRock AM 6.5. For user store I am using ForgeRock DS 6.5. I have users and groups in ForgeRock DS and the membership seems fine. Is the User Store your using in the same realm as the policy your using? Is your Agent set to use SSOONLY? Are you testing the Policy from a curl? 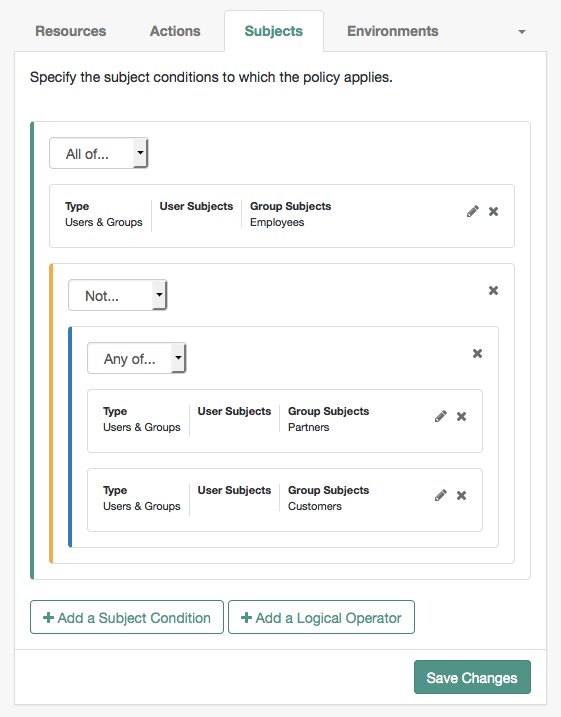 You should test your policy during creation (as discussed in the Creating a complex policy section) and after creation. We recommend you test your policy using the REST API as this calls the XACMLRequestProcessor class directly. With Message level debug you could review Entitlement and Policy to track why this is failing further.